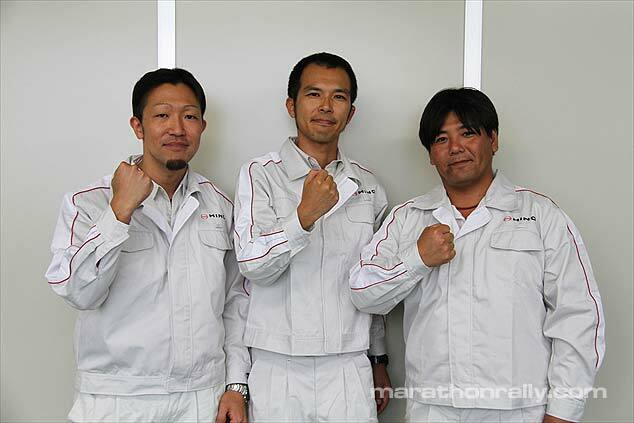 Three Hino Motors employees will be joining the Dakar Rally 2018 team for the first time, as support car drivers. These drivers will be driving the team’s support cars safely to camp sites during the race. Once at the camp, they will also carry out a variety of support tasks. We spoke with these three individuals who will be joining the team for the first time. 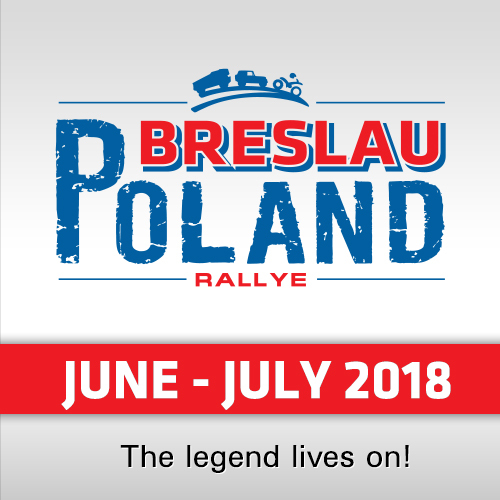 We interviewed them on their enthusiasm for Dakar Rally 2018, and listened to their candid comments on how they felt when they were chosen for the team. MR: First off, can you tell us about how you were chosen for the Dakar Rally 2018 team? Maruta (Honorifics omitted, Vehicle & Module Evaluation & Engineering Div): The team had been soliciting support drivers for the team, and one of my superiors asked me if I wanted to go. I immediately replied "Yes!" 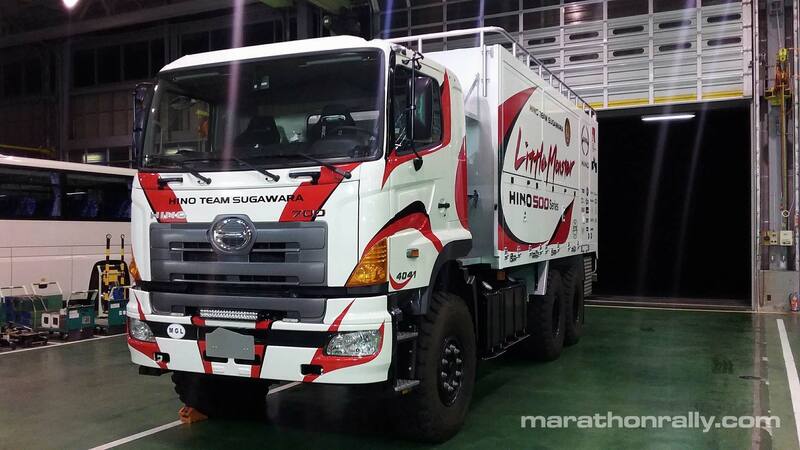 The Dakar Rally had been a dream for me, and the reason I joined Hino Motors in the first place was because I thought that I might be able to play some part in the rally if I joined the company. Our section chief when I first joined the company, Mr. Nishi, had known Mr. Sugawara and set up my first opportunity to meet with him. He advised me that, although it wasn’t the right time then, opportunities to do the things that I want to do will come around, so the best thing to do was to methodically do what was in front of me, at the time. Satoh (Quality Assurance Div): I was also asked by one of my superiors if I could go, and I replied that I certainly would if I was the right person. Takahashi (Vehicle Planning & Production Engineering Div): It was the same as Mr. Maruta for me. One of my superiors told me that the team was soliciting Dakar Rally team members and asked me if I wanted to go. I also replied "Yes, I do!" without any hesitation. In around 1997 or 1998, I saw a Hino TV commercial that ran copies that went something like, "HINO500 Series trucks beat the monsters!" and it showed videos of trucks running in the rally. I was very impressed with Hino, while watching those commercials. When I had to make up my mind about what to do after high-school, I saw employment information from Hino Motors and thought, "This is it" and applied. So my starting point was watching those Paris-Dakar commercials. MR: How did you feel when you first heard about the possibility of joining the Dakar Rally team? Takahashi: The biggest thing for me was pure elation. I thought to myself, "Finally!" Maruta: It felt like I’ve finally come to a point where I could voice my intent to go, and have that actually happen. Back to my conversations with the section chief and Mr. Sugawara I mentioned earlier, they told me that there’s a difference between the work that I want to do and the work I was capable of doing. And that people won’t recognize me, and opportunities to get involved in the kind of work that I wanted to do won’t come around unless I did the work that I was capable of doing, and did that right. So I put myself in the mindset that I would do what I could, methodically. I feel like I’ve finally been recognized for the hard work that I’ve been doing and that has led to this opportunity; to take part in what I’d been wanting to do. Satoh: When I first heard of the opportunity, I was told that I was one of the candidates, but it wasn’t a given that I would be chosen. I’m 40 years old now, so although I did say that I wanted to go when my superior asked me, I didn’t think that I would be chosen. So it is still a bit unreal for me. I’ve heard that during the race, in addition to driving the support cars, we would be setting up the camp, and perhaps even cooking at times. I like to cook so I think I will be able to help in that respect. I also heard that we will be responsible for negotiating with different people, but since I’m very bad with English, I think I will have to rely on my "strong heart" to take care of things (laughs). There are a lot of racing pros on the team so I don’t want to get in anybody’s way. I intend to keep my mind on specifics, for example if it looks like we might be running low on mineral water and need to go buy some more, I’ll think about what kind of Japanese condiments we might miss from back home, and do my best to make a positive contribution. 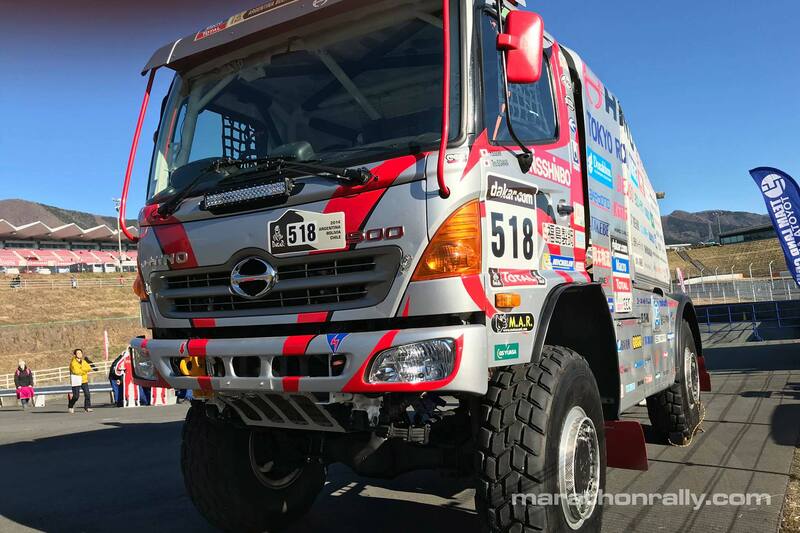 MR: As employees of Hino Motors, what did the Dakar Rally mean to you? Takahashi: I work in the factory right next to the one where they are building the Dakar Rally trucks, and while I’ve seen how that process was going, it was mostly out of casual curiosity like, "I wonder what they’re doing?" I never thought that I would be called upon the actual race, or even know that employees could join the team. So while the team was working close by physically, there still was a mental distance for me. Maruta: I knew that the team chose mechanics from dealerships every year, so I thought that this was mostly about improving motivation at the dealerships. There were times when our department would be called on during the truck building process, but I was never assigned to those jobs, so I personally didn’t feel that close to Dakar Rally operations. Satoh: What I thought was that the rally was a place for manufacturers to publicize their technological capabilities. I personally imagined that the two weeks during the race would probably be very tough, so I felt that it was a place where everyone could provide their input and ideas, and improve themselves personally. Takahashi: I’d been watching the truck building process close by during work, and I think that made the atmosphere of the operation felt close physically, but yet far away mentally. 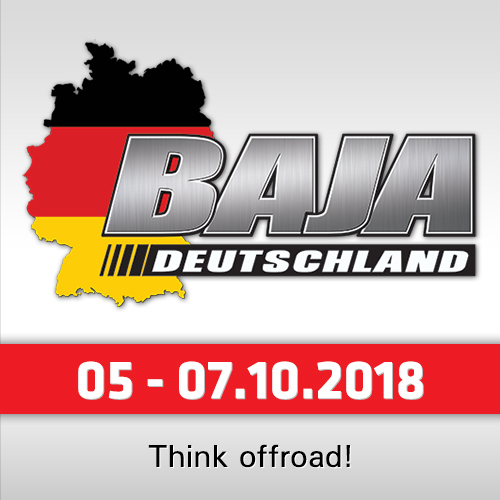 I never thought that I would be joining the team, so over the years of working, I might have forgotten about my passion for the Dakar Rally, which was the reason I joined the company in the first place. Satoh: The team puts on exhibits of the Dakar Rally trucks every year, so I was interested in which model the team chose for the rally and who designed them. Maruta: I read everything that was written about the Dakar Rally on the company newsletter. MR: How did your colleagues and family react to the news that you made the team? Takahashi: I had people come up and say to me, "I heard that you’re joining the Dakar Rally team" when I still hadn’t spoken to anyone about it. I was like, "How’d you find out??" and "Who told you?" (laughs). I was working with one of my colleagues the other day, and he told me that he was proud that a senior of his at the same workplace was chosen to join the Dakar Rally team. One of them told me to go do my best because I had been wanting to go for the longest time, and to give it all I had because this could be my first and only opportunity. After the Dakar Rally briefing, I realized that there was a lot of preparation to do. So I spoke with my superior who said that I could focus on preparation as the other staff would take care of any work during holidays and days that I would be away. My superiors and colleagues have been very supportive and I’m very grateful for that. My parents were also very happy to hear the news. My mother was particularly happy as she is an avid motorsports fan. As you might expect, she was familiar with the Paris-Dakar rally and was very happy when I joined Hino because she knew about Hino’s involvement in the rally. When I phoned her up to let her know that I made the Dakar Rally team, she was so happy and said, "I’m getting goose bumps!" Maruta: People at my workplace said, "Go give it all you’ve got," and my family said, "You’ve been wanting to go for as long as you can remember so go do you best." My wife is also employed at Hino Motors so it looks like she got the news at work, and her colleagues would come up to her saying things like, "I heard that your husband is going to the Dakar Rally." She apparently asked her superior if she could make adjustments to her work arrangements since I was going to be away for quite a while, and was told that they would take care of what they can give the circumstances. So in a roundabout way, it looks like me joining the team will have an effect on my wife’s workplace and inconvenience many people there, so I intend to do my best. Satoh: The response at my workplace was pretty much the same as it was for Mr. Takahashi. One of my colleagues said that he was amazed at how somebody from the same workplace would be going, and my direct superior told me to go do the best I can as this was the fruit of the work I had been working on over the years. I get along with all of my superiors and one jokingly told me that it would be my fault if nobody at the Quality Assurance Div. gets any calls for the next rally. I think he was essentially telling me to go do the best I can. My work involves a lot of traveling overseas and I’ve been to many places in the last 15 years or so. So in that respect, my family is used to not having me at home and it is usually kind of like, "Oh, dad’s traveling again" and nobody would be terribly interested in what I was doing. But this time when I told them that I would be on the Dakar Rally team, my wife and kids told me that they were amazed that I would be joining the Dakar Rally team. That told me how much of an impact the Dakar Rally has on people. MR: In closing, please tell us about your determination for the Dakar Rally. 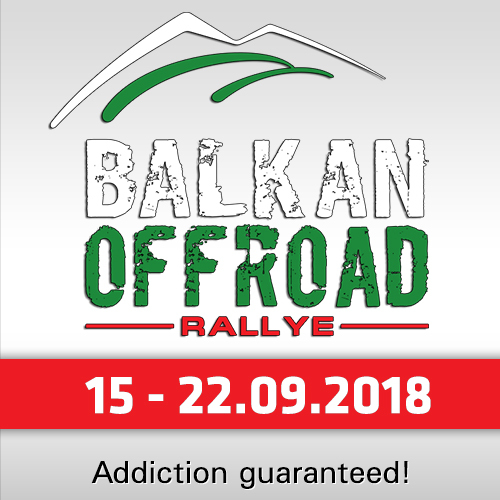 Maruta: The first thing that I will be keeping in mind when driving the support car is to ensure that the mechanics and other team members get enough rest and can have peace of mind. Satoh: I think there will be heated moments amongst the crew and mechanics, so I intend to keep my cool as a support member to create an atmosphere where we can provide support in any way possible. Takahashi: This is the opportunity that I’ve dreamt of so I intend to have a great time as a support member and a member of Hino Team Sugawara. Masaki Satoh (Quality Assurance Div): Enrolled in the Automotive Dept. at the Hino Technical Skills Academy in 1993, studied there for three years, and joined Hino Motors in 1996 where he was assigned to the Quality Assurance Div. He has been engaged in new product evaluation, overhauled engine running evaluation, the startup of the Komatsu plant for Hino Body Co., Ltd. (currently J-Bus Ltd.), legal operations, overseas assignments, and in the startup of the Koga plant since 2015. Hayato Takahashi (Vehicle Planning & Production Engineering Div): Joined Hino Motors in 2001 where he was assigned to the Vehicle Planning & Production Engineering Div. He has been engaged in crash tests for seven years, followed by five years in authentication operations, before he was assigned to his current position in handling safety operations. Daigo Maruta (Vehicle & Module Evaluation & Engineering Div): Joined Hino Motors in 1997 where he was assigned to the Componets Research & Experimet Div (currently the Vehicle & Module Evaluation & Engineering Div). He has consistently been working in the area of brakes including brake testing and actions in response to problems with sold vehicles.